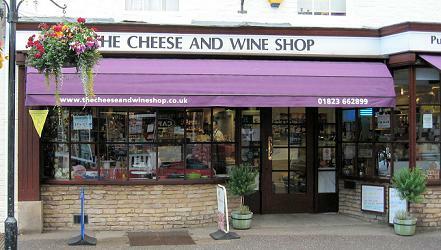 Looking for Cheeses in Somerset? Can`t find that Cheddar you want in Taunton ... then we are just the answer! With around 100 Cheeses in our selection, The Cheese and Wine Shop, located 5 minutes off the M5 at Junction 26, in the heart of Wellington, has a wide selection of Cheeses, Wines, Champagnes, Ciders and Food gifts.